With the new version of distro-info hitting the archives, and it reporting that the LTS is 16.04, MAAS 1.7, 1.8, 1.9 won't be able to commission machines. 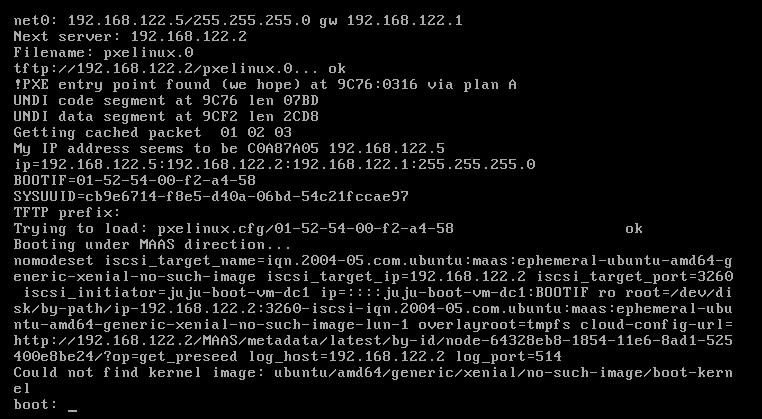 This is because MAAS depended on distro-info to determine the commissioning release, which at the time is only Trusty. 2. go to settings page and select commissioning release. 3. with the fix, trusty will be available. Without the fix, no commissioning will be available and machines will fail to commission/enlist. I re-installed my vMAAS setup from scratch today. I imported 14.04 LTS images but that does not allow me to commission anything - the drop-down in the UI says "No usable Release" for commissioning. frobware> in 1.9.1 I have only 14.04 images, but this gives me "No usable Release" for commissioning. Does it have to be 16.04 only? <roaksoax> frobware: so maybe the image hasn't finish importting ? <roaksoax> frobware: wat does distro-info --lts show you? <roaksoax> frobware: that is in trusty ? <roaksoax> frobware: is your machine trusty ? Theres currently an SRU *already* in progress. > Theres currently an SRU *already* in progress. Accepted maas into trusty-proposed. The package will build now and be available at https://launchpad.net/ubuntu/+source/maas/1.7.6+bzr3376-0ubuntu3~14.04.1 in a few hours, and then in the -proposed repository. Accepted maas into wily-proposed. The package will build now and be available at https://launchpad.net/ubuntu/+source/maas/1.8.3+bzr4053-0ubuntu2~15.10.1 in a few hours, and then in the -proposed repository. This was apparently verified for trusty, but not for wily. The wily update was not verified in three months, and wily is almost EOL. So I removed the -proposed package.